Rahimi, D., Khademi, S., Nadafi, S. (2014). Estimation of Evaporation and Transpiration of Wheat Plant in Zaraghan Station Using CROPWAT Model. International Journal of Advanced Biological and Biomedical Research, 2(4), 1362-1370. Dariush Rahimi; Samaneh Khademi; Shirin Nadafi. "Estimation of Evaporation and Transpiration of Wheat Plant in Zaraghan Station Using CROPWAT Model". 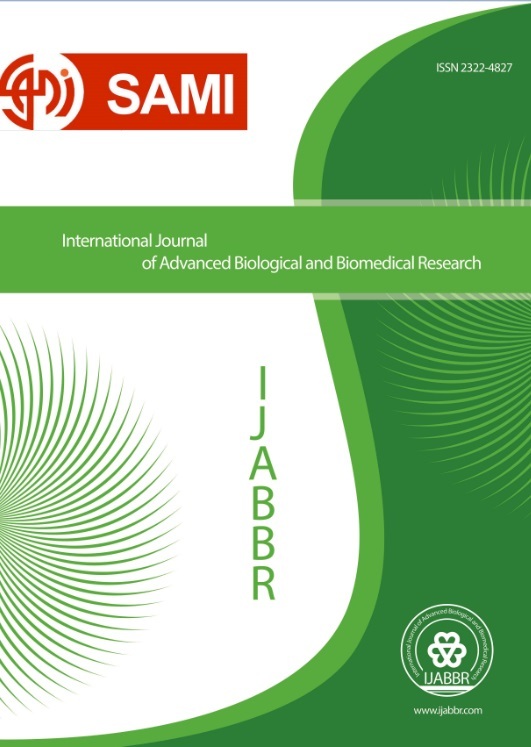 International Journal of Advanced Biological and Biomedical Research, 2, 4, 2014, 1362-1370. Rahimi, D., Khademi, S., Nadafi, S. (2014). 'Estimation of Evaporation and Transpiration of Wheat Plant in Zaraghan Station Using CROPWAT Model', International Journal of Advanced Biological and Biomedical Research, 2(4), pp. 1362-1370. Rahimi, D., Khademi, S., Nadafi, S. Estimation of Evaporation and Transpiration of Wheat Plant in Zaraghan Station Using CROPWAT Model. International Journal of Advanced Biological and Biomedical Research, 2014; 2(4): 1362-1370. In this research, amount of evaporation and transpiration and water requirement of wheat plant for Marvdasht town (representation station: Zaraghan) during 17-years statistical duration from 1989-2005 and properties of plant and soil are calculated using CROPWAT software. At the first, trends of dry and wet periods for mentioned station were determined using long-term average of climatic data (temperature and rainfall). In this town, 8 month from middle of the year is dry period. Hence, complementary irrigation is needed this time and most parts of these areas, which are cultivated as dry farming had to use underground waters inevitably. Decrease in rainfall in recent years intensified this issue and therefore, it resulted in intensive decline in level of underground waters and sinking of plains. Then, real transpiration and evaporation and irrigation requirement of wheat crop in the region is calculated using CROPWAT model. Based on obtained results from irrigation schedule in the station and according to dominance of dryness and humidity lack of soil, two or three complementary irrigation is required to preparing crops for harvest.